Форма заказа презентации системы "LibOpenOffice"
Licence for limited number of computers. You will receive developer's key and library that can be used fully only on specific number of computers (identified by their hardware ID) according to number of licences paid. Licence for unlimited number of computers. You will receive developer's key and library that can be used fully on any number of computers. After the payment transaction you will immediatelly receive e-mail with confirmation. In a short time you will receive developer's key and library on e-mail adress that was specified during the payment. Usually it takes one business day. 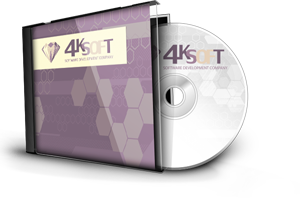 All questions and technical support is available via E-Mail: openoffice@4k.com.ua or Skype: kmi_4k.